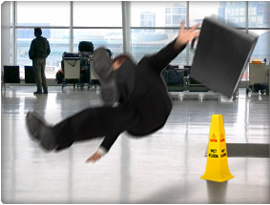 Slip/Trip and Fall - BJE Law, P.A. Record the events leading up to the accident, time and place, weather conditions, who was present and how the incident played out. Document the extent of your injuries, both physical and mental including the effect of your injuries on every day aspects such as work, social or personal life. Include information about doctor and therapist visits, time missed from work, events you had to cancel and the effect it has had on your family and close relationships. Preserving evidence from your accident will be very beneficial in your case. Take pictures of the scene, documents about your injuries, and property damages. Speaking with the property owner or manager and filing an incident report or a police report will be helpful for your case. This provides details of the incident, preliminary assessment of fault, and information about those who witnessed the incident. 4. Meet with BJE Law, P.A. for a free consultation. Text/call BJE Law, P.A at (813) 992- HURT to evaluate your case for FREE.